Jump For Jesus, the only Full Gospel Ministry Stunt Program in the world, is equipped and self contained to provide for a variety of Ministry events. is equipped and self contained to provide for a variety of Ministry events. Music and Psalms are one of the most powerful and yet one of the most misunderstood weapons of warfare in the Kingdom of God. Music and Psalms are one of the most powerful and yet one of the most misunderstood weapons of warfare in the Kingdom of God. They are of such affect that God sent them before soldiers going into battle. Music is of great spiritual importance when preparing the spirit of those hearing it to be soft and receptive toward the Spirit of God. The "Christian Music" of today is often more directed toward the soul of man rather than to his spirit. Our ministry singers, The New Life Singers, led by Gene¹s wife Ceci, always purpose to administer the gift given them by God, to the edifying of the spirit. We also present the music ministry of "Watchmen" at our ministry and evangelism programs. They are all truly led by the Holy Spirit. 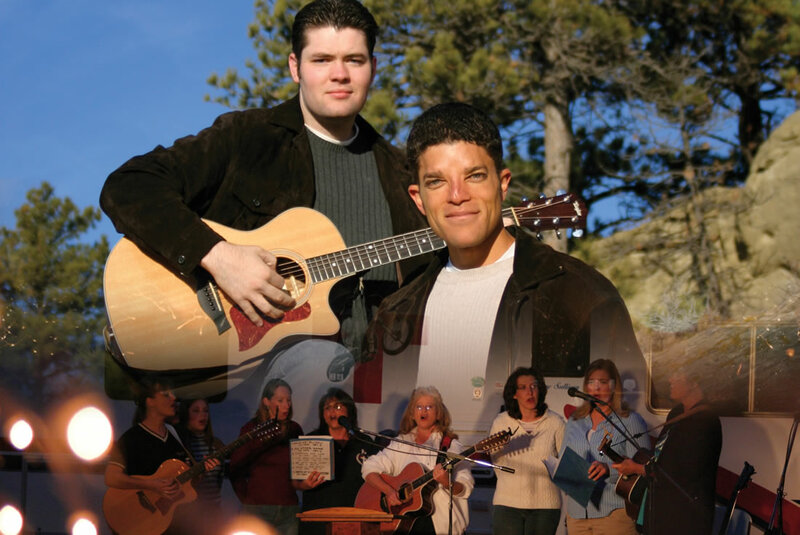 You can sample their music at: www.newlifemessengers.com. They can also be booked for ministry engagements separately. You can call Dan at (406) 670-9905. The only "Full Gospel Ministry Stunt Program" in the world. 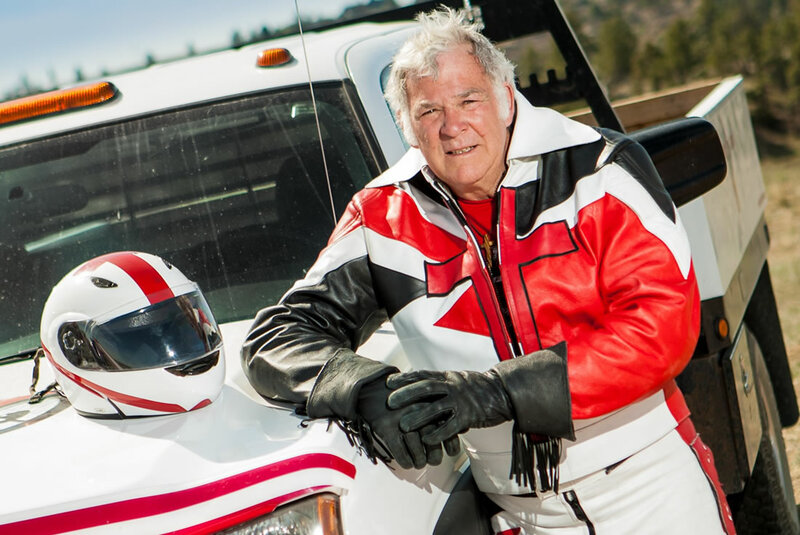 As he moves into his 70’s, Gene Sullivan is the oldest and longest touring professional motorcycle Jumper in the World today. 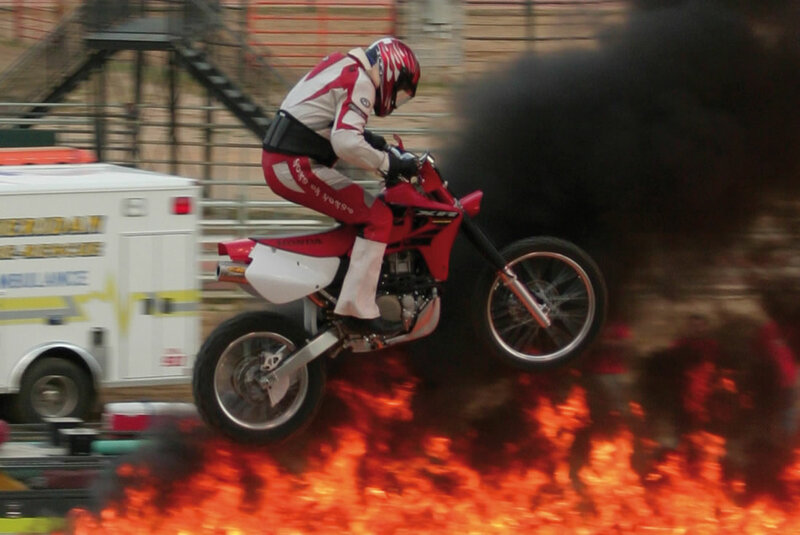 Gene's first professional stunt program was in the summer of 1970, in Denver Colorado and he is still going strong today. Gene founded Jump for Jesus in 1978 in South Florida. It is the only "Full Gospel Ministry Stunt Program" in the world. 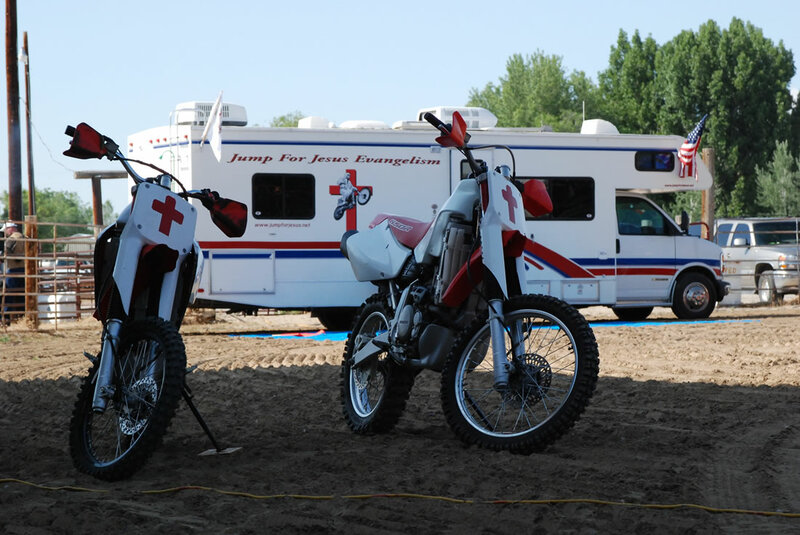 Jump for Jesus International is a stand alone, main event program; complete with live music, testimonies, Gene's presentation of the gospel, testimony and the Theme Motorcycle Jump. Afterward there is an altar call and ministry time, followed by a BBQ with additional testimonies, music, and great fellowship. The Ministry is totally self contained with generators, sound equipment, a two-pole tent, seating 350 people, two music groups, food service and a 15 man Crew. The area necessary to facilitate the Jump is approximately 500 feet long by 150 feet wide. Most soccer, football, or baseball fields are sufficient. Rodeo grounds and stadiums are fine as well. City parks, recreation areas and church parking lots are also good. We have used nearly every kind of property or venue out there over the years. The main thing to consider is the need to create a comfortable setting and seating area for those in attendance. On several occasions, we have accommodated 800 or more people in and around our tent area. We brought in folding chairs from the local churches. Jump for Jesus is a "Non-Ticketed" event. This means that we do not charge people a fee to come to our programs. Our fee and travel expenses will be paid for by the "Sponsoring Body" or the local churches. Use arrow navigation to go forward to the next video or back to the previous video. All day festivals, parades, rodeos, main streets, church grounds, in-door arenas and city parks. The "JUMP" program can be formatted for your event. We have done all day festivals, parades, rodeos, main streets, church grounds, in-door arenas and city parks. The program is approximately 75 minutes in duration. The local sponsoring representative usually opens the program and introduces Gene when desired. Gene will share a few things then introduce his son Daniel, who will MC the rest of the program. Gene's wife Ceci and her singing group, “New Life Singers” will perform a few songs and testimonies and then Daniel's group “The Watchmen” will do a few songs, after which Daniel will re-introduce Gene, who will give the main message and the analogy of the "Jump". Gene will prepare the crowd for the “Jump” and the "Call" for prayer afterwards. He will then get on the bike, make several speed runs, ending up on the takeoff ramp to look over the gap. He will then back down, go to his starting place and wait for the lighting of the fire wall. He will then make the jump through the “burning wall”. After going through the wall, Gene will come back to the stage and lead as many as will pray, through a prayer of surrender to Jesus. After the prayer, he will then call as many as will, forward for additional prayer and special needs. During this time, those who do not come forward will begin moving toward the tent for the BBQ and fellowship including one-on-one ministry with believers from the local churches. Every program is "tailored" to the local sponsorships needs and can be adjusted as necessary. Jump for Jesus International is a stand alone, main event program; complete with live music, testimonies, Gene's presentation of the gospel, testimony and the Theme Motorcycle Jump. Afterward there is an altar call and ministry time, followed by a BBQ with additional testimonies, music, and great fellowship. © Jump For Jesus International 2018 . All rights reserved.